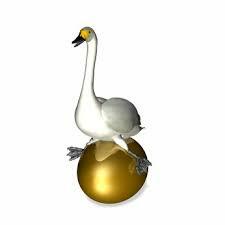 BNI of the Heartland: ARE YOU ASKING FOR A GOLDEN GOOSE? ARE YOU ASKING FOR A GOLDEN GOOSE? How to build successful relationships with referral partners! Average networkers ask for clients or customers. Master networkers ask for referral partners. Average networkers are always scrambling for their next customer or client-or golden eggs. Golden eggs buy for themselves. Master networkers ask for personal introductions to referral partners who have the ability to send multiple referrals on an ongoing basis. We call these golden geese. There are two ways to identify who your “golden geese” are. Who knows your next customer before you? Think about the relationship between a dentist and orthodontist. The dentist has children as patients. When little Johnny gets to the point of needing braces, the dentist talks to the parents and tells them that Johnny needs to see an orthodontist. What do the parents ask? They ask the dentist to recommend an orthodontist. If you are the orthodontist, who is your dentist? Who knows your customer or client before you do? Identify the industries where you would find your golden geese. Determine which companies in these industries you want to do business with. Who is the person you want to talk to? What is their name? Title? Use this information to ask for a personal introduction to this person at your next BNI meeting or networking event. Remember, it’s the personal introduction that will help you get your foot in the door! Does the orthodontist have only one dentist sending patients? Of course not! He has multiple dentists referring patients to him who keep his appointment calendar and bank account full. Like the orthodontist, you’ll want to develop relationships with multiple people in each profession. Who works with the same client but offers a different product or service? The first place to look would be within your BNI chapter. Schedule 1-to-1’s to learn more about each other’s businesses and how you can work together to cross-market. Also hold Power Team meetings monthly and devise a plan for sharing clients and customers: What are the common problems or issues your clients are facing? What keeps them awake at night? What are their emotional hot buttons? Find professionals in your field who love to do what you dislike doing, and invite them to your BNI meeting. Chances are they don’t like to do what you love to do. This gives you both the opportunity to share referrals and spend your time doing what you enjoy most. Your chapter members will benefit as the visitors join-and your power team will become even more profitable. When you meet with a golden goose, the person is probably meeting with you because they feel obligated, not because they are excited to hear another sales pitch. It’s up to you to make the referrer look great AND start building trust and credibility. Practicing Givers Gain with your golden geese is important. At the first meeting with your non-BNI golden geese, find out what their needs are or the most common needs of their clients or customers. Listen carefully. Is there someone in your chapter whom you can refer them to? I like to have a sheet listing all my chapter members with me. As we talk about the needs they or their clients have, my goal is to refer two or three chapter members to help them solve their problems. I explain to my golden goose that I will go back to the office, contact these potential referrals, and have them call. I follow-up with a short email to each of the referrals that describes what the golden goose was interested in and how they should follow up with the golden goose. I copy the golden goose on the email, so she is reminded what we talked about and that she agreed to have these people call her. Your golden goose will be impressed. She was expecting you to come “sell.” Instead, you are looking for ways to help. You’re already building a trusting relationship. In return, the golden goose will be more receptive to helping you. Many members feel that they can only work with the professionals in their chapter. This is a limiting belief. You should have relationships with multiple non-BNI professionals in each of the businesses where you target the same client or customer. Here’s an example: Imagine that a business coach is a good referral for me-but I already have a great business coach in my chapter. To the business coach in my chapter, I would pass referrals of people looking for coaching. To my non-BNI golden goose business coaches, I would pass the names of my chapter members as referrals. Remember, these non-BNI professionals are consumers. They want and need the products or services of some of the people in my chapter. By asking specific questions, I’ll have the opportunity to bring great referrals back to my chapter. We each get the same amount of time at our meeting to ask for referrals. When you ask for personal introductions to your golden geese, your business and your ability to pass referrals will increase systematically and predictably.